DAVID Bottomley AM is Australia's newest and oldest PhD graduate after completing his study of ancient school education methods that he believes have relevance to today's school teachers. 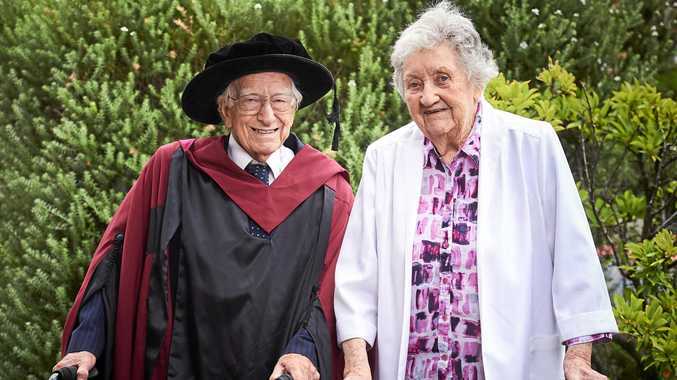 The 94-year-old said his wife, Anne, joked with him that he was a bit slow in getting a PhD, but after seven years of study he finished one year ahead of schedule. Dr Bottomley finished his first degree in 1948, took up teaching science and maths before moving into working in and studying social and market research. In 2008, 60 years after his first degree, he completed a Masters in Education. His love of study and of stretching his mind beyond the norm is in his blood. His father was a minister who welcomed his children to his library. "I worked my way up from the lowest shelf that I could reach," he said. That experience instilled in him an enthusiasm to question everything. "It's just a normal process where whatever you are placed in, you want to understand it and question it," the scholar said. He cited the Royal Society of London's motto that a science person should question, never just accept, and look for correlation. His brother Bob, who has a PhD in enzymatic chemistry, worked with the local flour millers during WWII to transform the protein level of Victorians. He has a daughter, aged in her 60s, studying for a PhD in music and a granddaughter finishing a degree in medicine. Dr Bottomley's Doctor of Philosophy was achieved through West Australia's Curtin University and under the guidance of Distinguished Professor David Treagust. 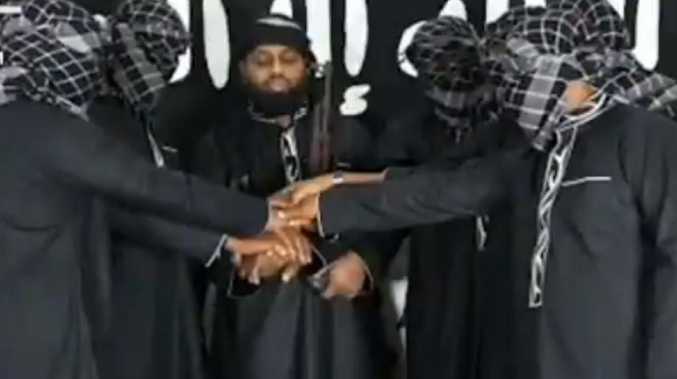 "I took five headmasters of equal positions in the 19th century, who were quite well known in the field of history of science, and I looked for the similarities and differences within these five," he said. Each teacher created within the school curriculum situations which Dr Bottomley's described as "leading to students fitting in and running within a stimulating environment to higher learning for themselves". Not surprisingly, about half his small home in Melbourne is taken up with his study materials which have grown to almost 80 lever-arch files full of his research. "It's a rather crowded one," Dr Bottomley says with a chuckle. "I am now redistributing the files with ideas for the next step." The idea of stopping vigorously exercising his mind is all but a brief lapse in this exceptional man's thinking. He jokes he is in "great need of a haircut", and since finishing his PhD, feeling "bored stiff". But that is doubtful. While he might, for a brief moment, have wondered what he would do with himself each day, it's taken no time for his curiosity to reassert itself. While Dr Bottomley addresses his need to get more active by heading out the door, pushing his walker around and studying his world through dipped eyes, his mind is actively considering his next intellectual challenge. He has already identified as an outcome of his PhD thesis the subject of his next area of study; "exploring the concomitance of creativity in schools". He wants to find some area of interest from this research that will be valuable to current school teachers. Also on the radar is the wellbeing of his wife of 68 years. Anne lives in an aged care facility close-by. Dr Bottomley visits her three or four times a week and has keenly observed the environment she is living in. "We can change our focus by changing one letter," he said. Care to cure is what he is talking about. "The challenge today is cure. What I hope to explore is people with different skills, cross- fertilising with each other," he said. "I would love to be in the position to make a presentation to this Royal Commission about nursing homes because what I want to say is, 'heaven's sake, change the idea of care to cure and you change the whole axis of your thinking about one of the huge problems of today'. "There is an enormous amount here I don't know, but I hope to explore. "I wonder how many vested interests are going to resist me?" The learning journey is ongoing for this scholar, who happily describes life as "really exciting".